Sometimes the best desserts are the simplest. 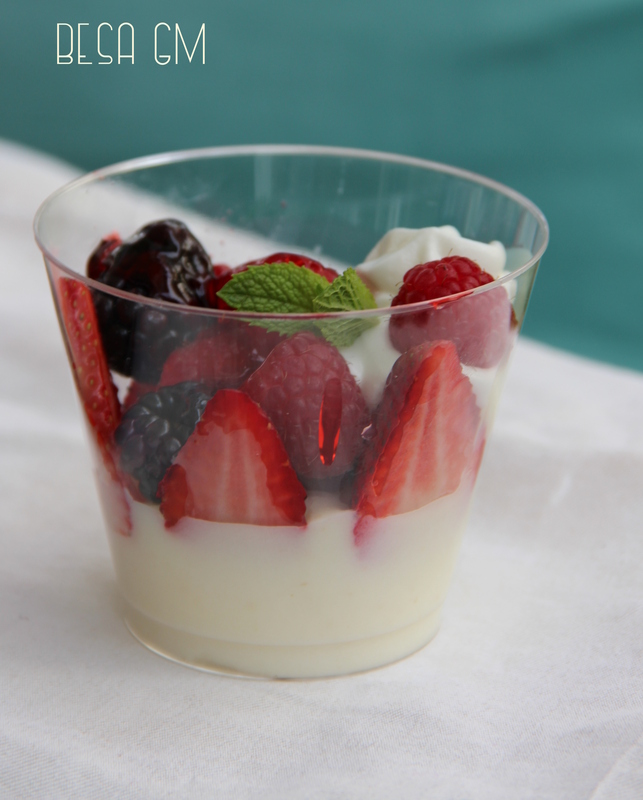 This easy vanilla pudding-triple berry dessert cannot get any simpler and it is supper effortless to make. 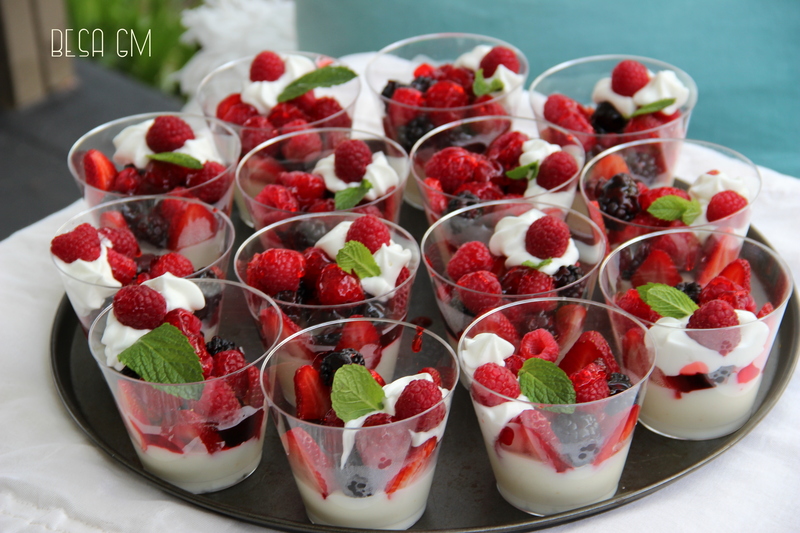 It is very refreshing and eye appealing dessert so it would make a great addition to the desert table when entertaining. I made these a week ago for my dinner party, and they really cheered up my dessert table and everyone liked them. 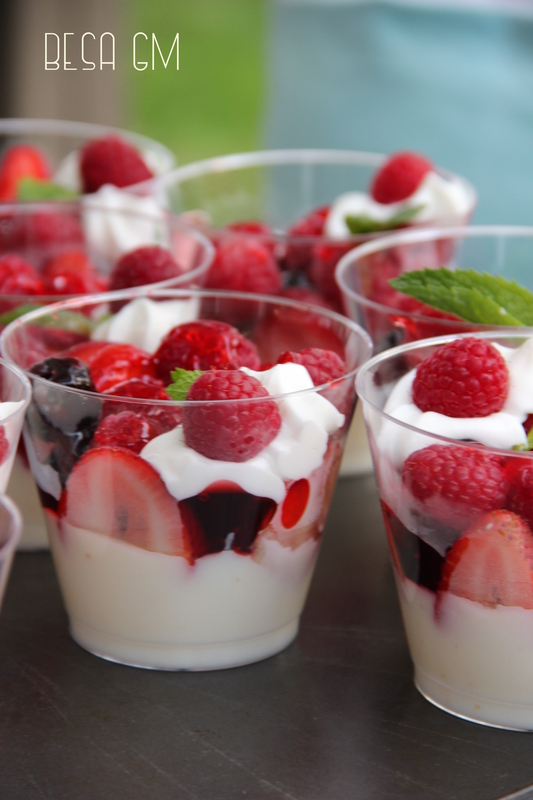 As you can tell, there is no specific recipe for this dessert; it basically is store bought vanilla pudding cooked according to the direction in the package topped with the mix of (my favorite) berries: strawberry, raspberry, and blackberry, drizzled with red gelatin, and garnished with whipping cream and mint leaves. 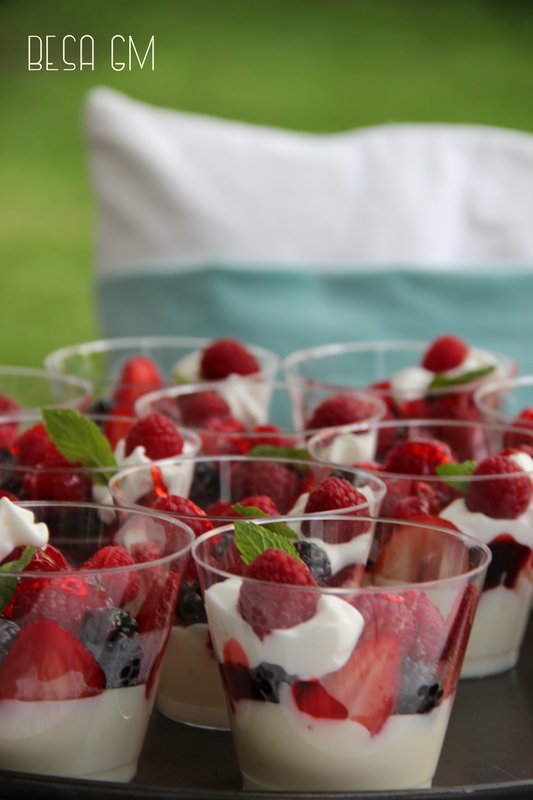 These cute cups with fruit added a punch of color to my dessert table, and most importantly they were soooo refreshing and everyone loved them. Thank you….they are so yummy. What a treat for the eyes! Yum. Thanks so much for stopping by and taking time to leave a comment. It is colorful and soo refreshing; nice treat for every occasion.Thank you for visiting Maria. 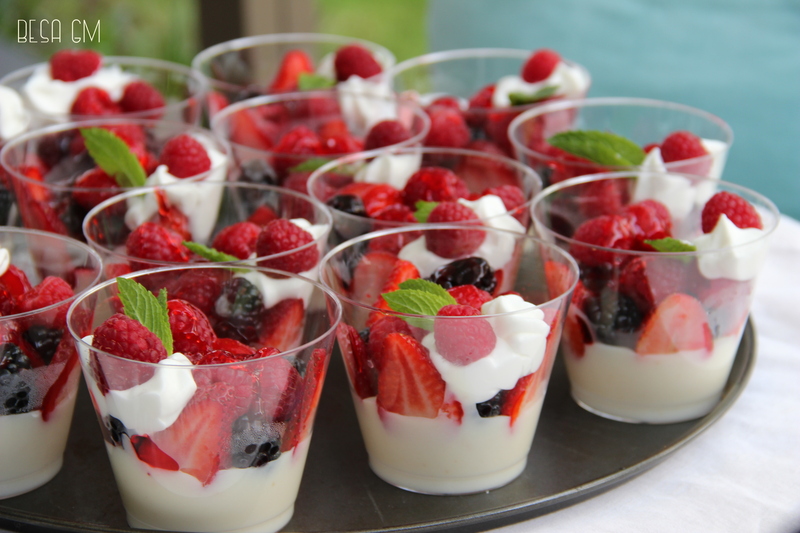 Beautiful dessert! Love how it turned out! Thanks for pinning this, and for hosting the Happiness is Homemade.